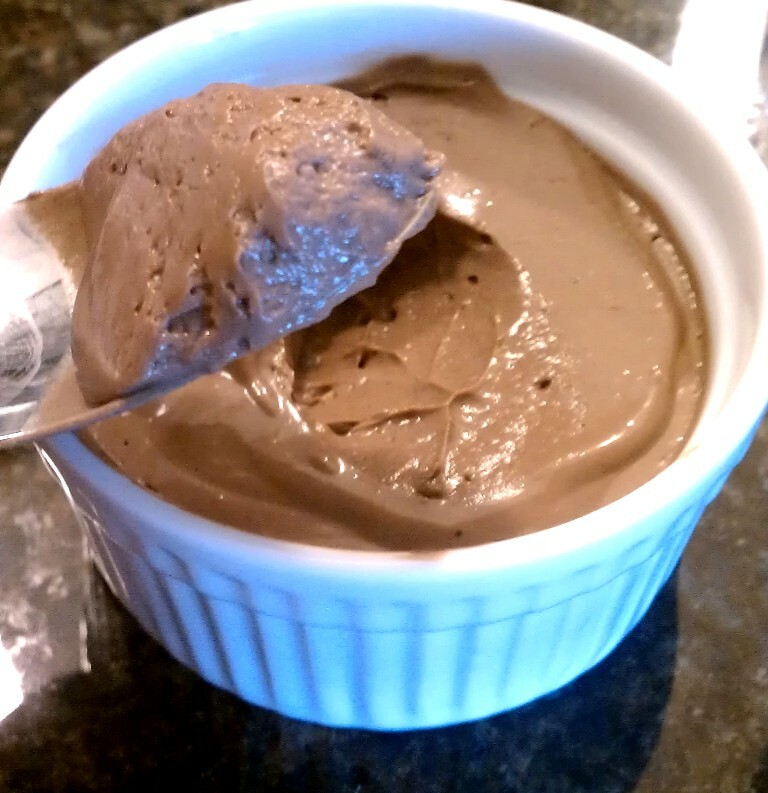 Smooth and creamy chocolate mousse made vegan by using silken tofu as the base. I like to think that since the tofu has protein it makes this even a bit healthy! 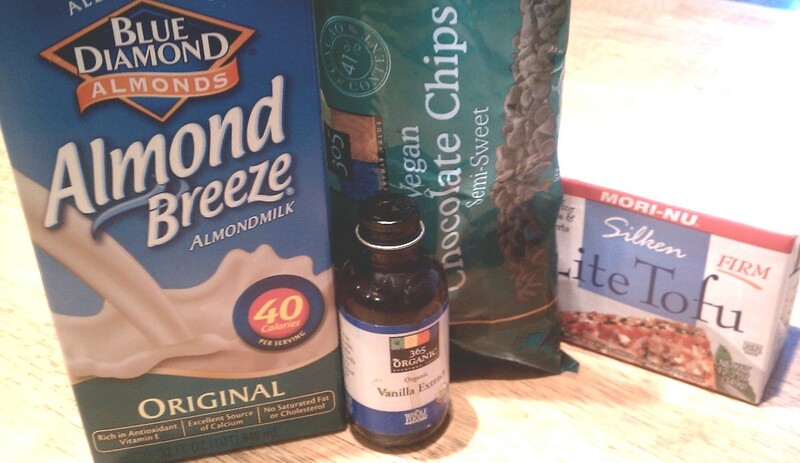 For the ingredients I recommend almond or soy milk. Skip some of the others like rice milk which is too watery. If you’re doing this totally vegan, look for vegan chocolate chips. Regular semi-sweet chocolate chips typically contain some milk. Most importantly, the best tofu is Mori-Nu silken tofu in firm or extra-firm (also comes in Lite). This is the shelf stable silken tofu found with the Asian foods. If you can’t find this there is sometimes a refrigerated silken tofu with all the other kinds of tofu but the package is bigger so the other ingredients need to be adjusted accordingly. Place almond milk and chocolate chips in a microwave-safe bowl and heat about 1 minute depending on your microwave. Stir together until chocolate chips are dissolving in milk, you should now have a rich chocolate milk. If necessary, heat a bit a longer. Let the mixutre cool for a few minutes. 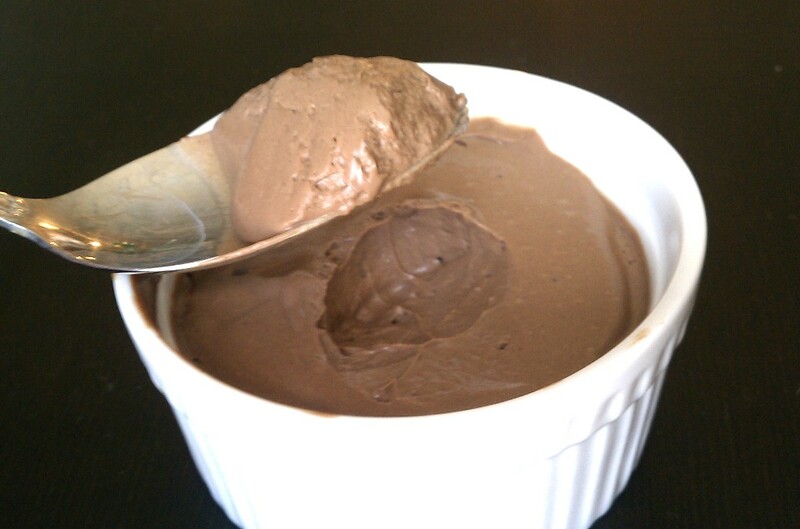 Add chocolate mixture, tofu, and vanilla to a food processor or blender and process until pureed. This is important: taste the mixture to make sure you don’t a have a tofu taste since all brands are different. If it’s not chocolaty enough you can melt some more chocolate chips and add it but don’t add any more milk or it won’t set properly. Pour into 4-5 ramekins or small dishes. It will set better this way than if it’s in one big bowl. Chill 2-3 hours and it’s ready to eat! I would have to say that the cookie is my favorite form of dessert. It’s handheld, you get all the flavors in one bite, and bonus, they’re easy to make. 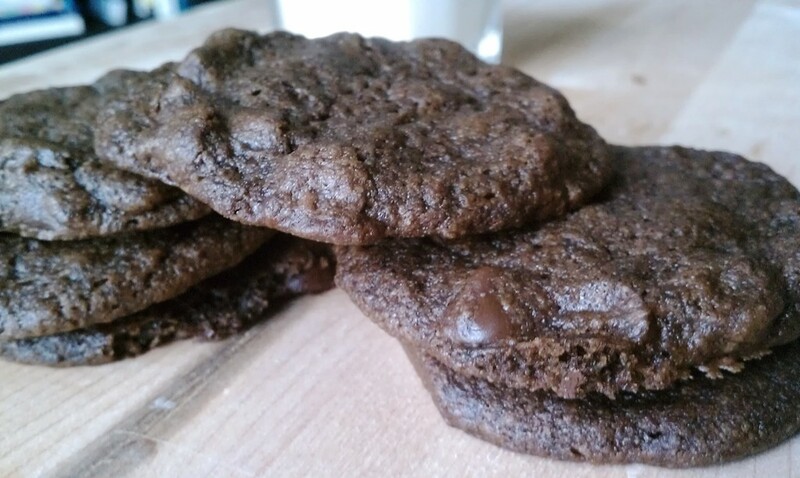 These cookies really bring the chocolate. 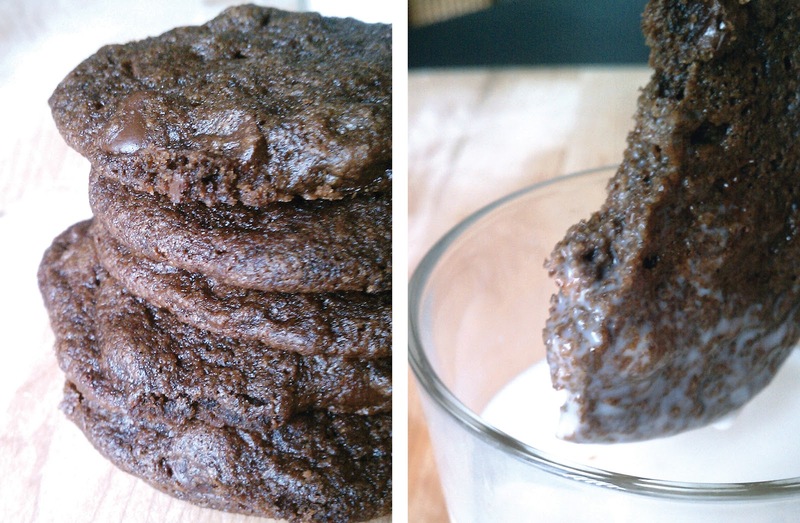 If you’re a fan of crispy-edged corner brownies, then you’ll like these. They’re very brownie-like but slightly crisp all around the outside so you get that in every bite! Sift dry ingredients into a mixing bowl, set aside. Add the almond milk and vinegar to a small bowl, set aside for a few minutes. In a separate bowl, add vegan butter and both sugars. Stir to mix well. Add vanilla and almond milk/vinegar mixture. Stir until everything is thoroughly combined. Working in 2 or 3 batches, fold the dry ingredients into the wet ingredients. Once everything is incorporated, fold in the chocolate chips. Place the bowl of batter into the fridge for an hour. Batter can also be refrigerated overnight – just removed it from the bowl and wrap in plastic wrap. Scoop tablespoons of batter and drop onto a parchment lined baking sheet. (tip: keep a glass of water to dip spoon into in between every couple scoops and this will help prevent batter from sticking to your spoon).